It is time for my 2014 weight loss, week 1 report. Last week I was at 324.0 pounds. This week, the scales gave me a surprising bit of good news as I weighed in at 322.8 pounds. While that’s only a 1.2 pound loss, I had been afraid that I would actually gain weight for the week. Last Sunday, I had a failure as I didn’t follow the Carb Addicts Diet part of my weight loss scheme. As such, I ended up having a couple of large, regular meals. Monday, I decided to see what the damage was as I went into my 5:2 Diet fast day part of my weight loss scheme. The scales reported me at 327.8 that morning, but I knew that I had the rest of the week to correct things. 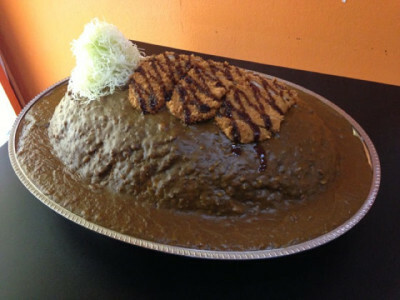 Kotaku has all of the details about Gold Curry’s curry rice challenge, including the various levels of the challenge and pics of those trying to eat the smaller sizes. This entry was posted in Weight Loss and tagged 5:2 Diet, Carb Addicts Diet, curry rice on January 11, 2014 by AstroNerdBoy.